Many people know the facts about cigarettes like the number of casualties attributed to them annually. But while vaping is lesser known in comparison, more and more studies are starting to understand its effects. Misconceptions about vaping fuelled by public confusion about its relationship to tobacco products like cigarettes abound. Here are five scientific facts about vaping everybody should know. We’ll take the time to not only share the facts about vaping but counter a number of myths and misconceptions about vaping as well. In 2015, Public Health England or PHE published a report about cigarettes being 95% safer than cigarettes. The 5% residual risk was a cautious estimate according to Professor Ann McNeill. This means the actual risk may be less than 5% that of smoking a cigarette. Nor can we say that the PHE report is a one-off. A dozen British public health organizations backed the report and reiterated the superiority of vaping over cigarette smoking. Vaping may be so much better that it’s recommended for approval as an alternative drug to tobacco for those who want to stop smoking cigarettes, and treated as an alternative to nicotine patches. Vaping is safer than cigarettes in nearly every regard. First off, vaping produces no tar. Vaping doesn’t create carbon monoxide. The nicotine and other additives in vaping mixes contain roughly a quarter of the toxins contained in cigarette smoke. This means that vaping is safer for the general public, too, since it doesn’t create the same hazards second-hand smoke does. Some people are concerned about formaldehyde and other compounds created by the thermal degradation of glycerine and glycol. However, the build-up of these substances depends on the vaporisation process. The temperature of the vaping coil, the duration of the ignition phase, and the number of coils all affect the concentration of these potentially toxic compounds. Dry puffs maximise the production of these compounds relative to other styles of vaping, but even in this case, the chemical levels are one order of magnitude less than conventional cigarettes. In short, the few compounds that vaping will create like PG and VG are far less of a concern when vaping than if you lit up a cigarette. Others are concerned about diacetyl, a di-ketone often used as a flavouring in e-liquids that is associated with “popcorn lung”. If you’re concerned about the potential risks associated with this compound, check out the AFNOR list of e-liquids that contain the substance and avoid them. Note that there is no evidence to date that diacetyl has contributed to popcorn lung in vapers. In fact, there are only a few cases that related popcorn lung to exposure in diacetyl in food, and we’ve already addressed how you can avoid it when vaping. That’s why you should only trust a reputable and established vape store like greyhaze.co.uk to find e-liquids that meet both your safety standards and tastes. A common misconception about vaping is that it is a gateway to smoking. Many think that people will start vaping and end up on cigarettes. Others are concerned about vaping creating a general normalisation of smoking, leading to an uptick in smoking rates. A 200-page report by the Royal College of Physicians London said this isn’t true. In fact, other sources are proving the opposite is true – vaping can lead to reduced smoking rates, mainly by helping many smokers stop smoking. A 2016 review of 24 different surveys found that electronic cigarettes were mostly adopted as a safer alternative to cigarettes, and they were often utilised by smokers to help them quit smoking. They were able to decrease their nicotine intake while dealing at most with nose and mouth irritation due to vaping. There are a few studies that show that some teens experiment with vaping, including some who went on to smoke. However, these studies can’t prove that picking up the e-cigarette led them to smoke or if they were already considering smoking but tried vaping at one point. A study published in 2017 of over 60,000 teenagers and a similar number of young adults found that while experimentation with vaping was occurring, regular use by teens who had never smoked was very low. The reported rate was less than 1%. That suggests that the teens trying vaping were either treating it as a casual experiment that didn’t become a habit, or they were already considering smoking or actively smoking and tried vaping as an alternative. However, the data doesn’t show that any teens trying an e-cigarette, getting hooked, and moving on to cigarettes. A study funded by Cancer Research UK and follow up studies found that those who vape have about 1% the cancer risk of those that continue to smoke cigarettes. The study published in 2017 was the first long-term study of those who vape relative to those who stopped smoking and those who continued smoking. Switching to vaping dramatically reduced exposure to carcinogens and other toxic compounds. Vaping is not only safer than inhaling burned tobacco, but it is safer than chewing tobacco, too. In short, vaping isn’t harmless, but it is truly safer than the alternatives. All of this explains why many health organisations in the UK are encouraging smokers to try vaping. Scotland’s Chief Medical Officer supported a Health Scotland statement to the same effect. There are thought to be several thousand flavours of e-liquids out there. The UK has established some norms to try to guarantee the safety of e-liquids. Some are concerned that flavours increase the odds one will start smoking or increase their nicotine usage. A survey that came out recently found that increased interest in flavours reduced interest in “throat hit”. 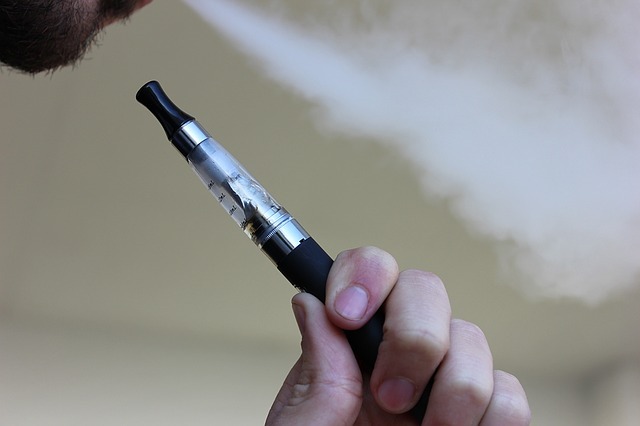 That survey’s results were reinforced by a study conducted in Connecticut; it found that flavoured e-liquids increased the odds of someone switching from smoking to vaping. That study focused on the role of menthol in vaping, a common flavour in combustible tobacco products. They didn’t prove that flavouring reduced nicotine cravings, but their model may not have delivered enough nicotine to prove that one way or the other. A Belgian study found that flavourings didn’t affect the craving for tobacco one way or the other. The main thing we can draw from this is that flavouring may improve the odds one quits smoking, but it certainly doesn’t increase the odds one will smoke or the amount of nicotine one takes in. There are a few risks associated with vaping aside from what you are inhaling. For example, it is dangerous for a child or pet to ingest nicotine e-liquids; that danger can be mitigated by using proper child-proof containers. There have been some incidents involving exploding batteries, but these accidents are highly preventable. Conversely, vaping hasn’t been considered the direct cause of death of a single person. Scientific studies have now proven many concerns and misconceptions about vaping to be wrong. Vaping is far safer and healthier than smoking cigarettes, and you can control the risk factors that are used to try to scare people away from vaping.